This listing is for an EXTENDED USE LICENSE for all clip art sets from Kenna Sato Designs! This license will allow you to use my clip art designs on products that you sell without crediting me or my shop, and it has a production quantity of up to 5,000! This is a small business commercial license and does not allow for large scale production, please contact me directly if you intend to use my clip art in large scale projects where the product exceeds 5,000 sales and/or downloads. 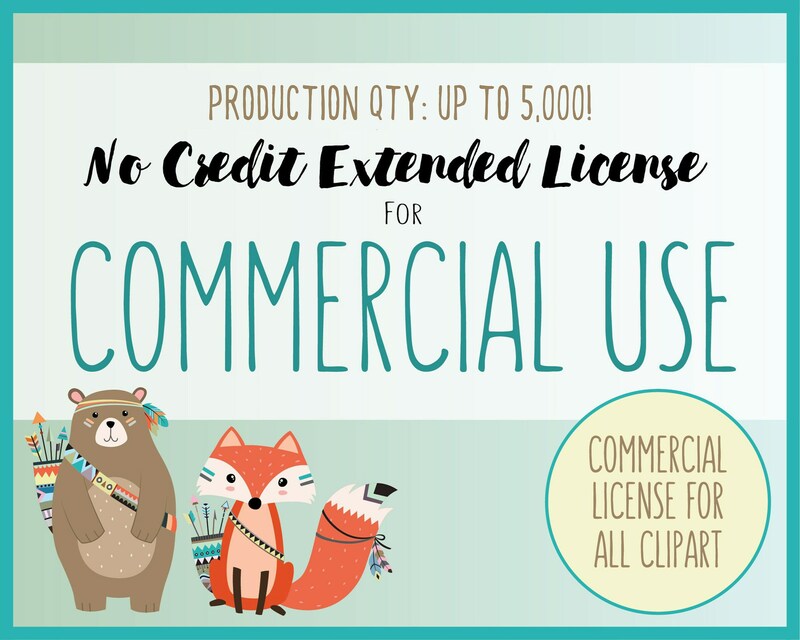 • This license will allow you to use all of the clip art sets in my entire shop, as well as all new clip art sets that I add to my shop at a later date!